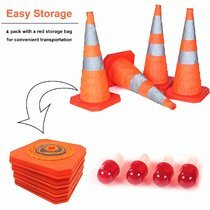 【Set of 2】Includes 2 Pack;Dimensions:10 x 6 x 7.3 ;Weight(Each): 6.8 Lbs,our professional grade solid rubber wheel chocks are great for helping you park your car,truck,SUV,RV,trailer and keep them in place.Extra large surface is great for large or small vehicles,like the wheels of hauler truck,fire truck and commercial vehicle.Perfect for Driveways,Garages or use with Vehicle Service Ramps or Leveling Ramps.Great Accessory for any Vehicle,Auto Shop or camping travel trailer. The handles on rubber wheel chocks provide fast and easy placement of the tire. Three Bright reflective stripes on surface provide high visibility. 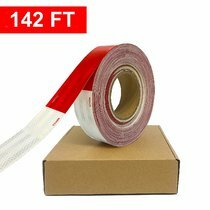 Perfect weight will help them stay in place more perfectly and sturdily than any concrete or plastic wheel chocks. 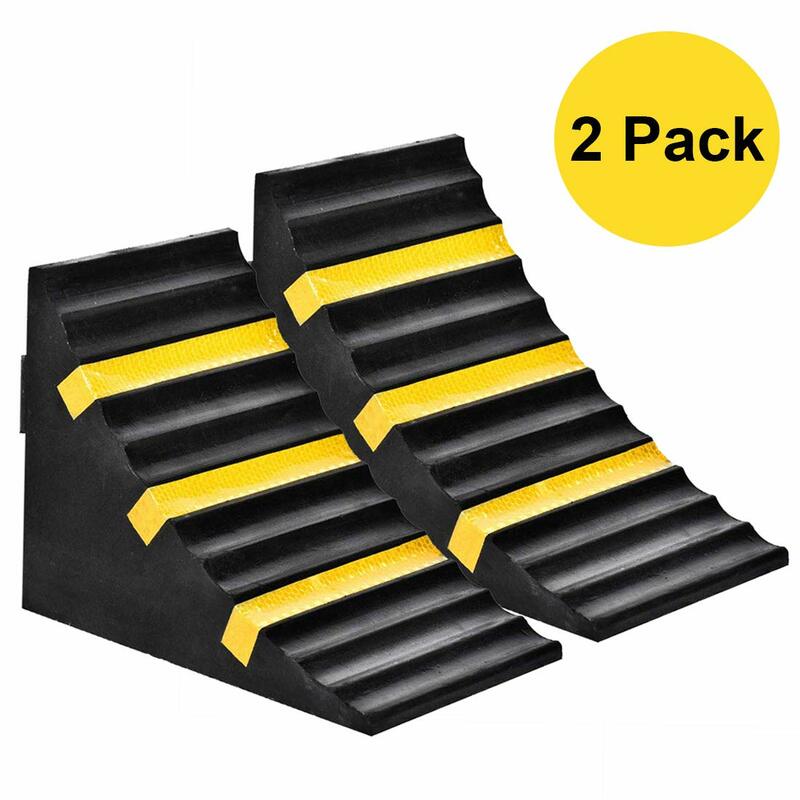 Great for Driveways,Garages or use with Vehicle Service Ramps or Leveling Ramps. 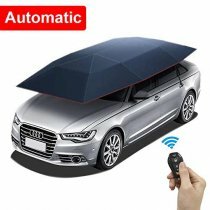 Great Accessory for any Vehicle, Auto Shop or camping travel trailer. 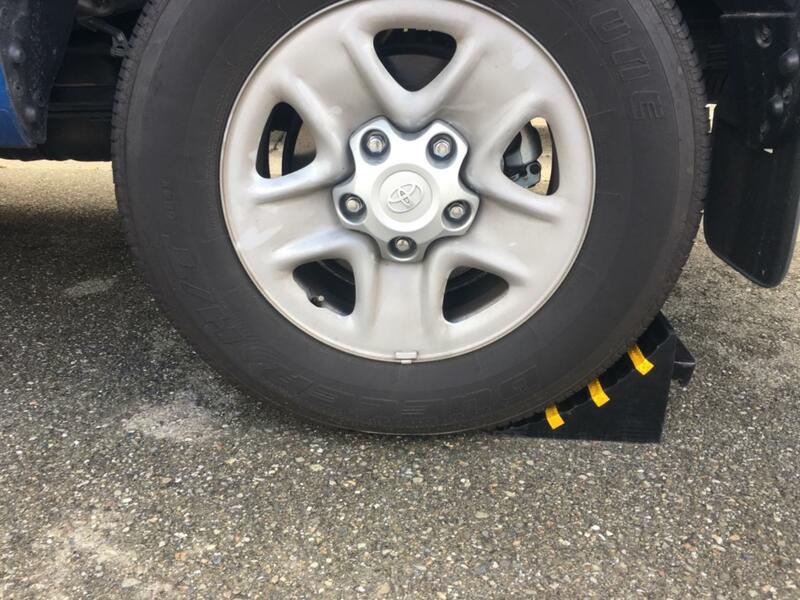 Park your car,truck,SUV,RV,trailer and have confidence that the Reliancer rubber wheel chock will hold it place. Material: Natural Rubber Overall Dimension: 10" x 6" x 7.3"
Durable, reflective and love the handle grips! 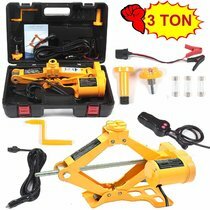 Use this product for a 5 Ton, 36' trailer. Love this product! Possibly overkill, but I bought these for our Honda Accord. Last month, it slid halfway down the driveway even though we’d shoveled away the snow. There was just enough ice and just enough of an incline. Needless to say, having a car slid out into traffic isn’t a joke. I’ve used these once and I already notice that a.) there was enough ice for the car to slide, and b.) these worked. They’re heavier than I thought and there is a slight odor to them, but the handles are great and I just put them in the trunk and go. The quality seems excellent. This is the chock next to tundra stock tire. So far so good. 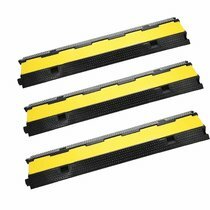 These are great high-visibility chocks, and so far we have had zero trucks roll down any hills!